One ball of yarn measures approximately 105m and weighs 50g. 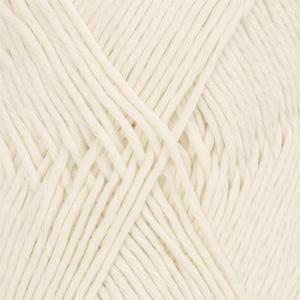 |Description| DROPS Cotton Light is soft yarn in 50% cotton and 50% polyester micro. The micro fibers are thinner thansilk strands and they do not take up moisture. We recommend DROPS Cotton Light for children garments; it is machine washable and it has shape stability andhigh durability. The quality is spun from multiple strands which gives a smooth and even stitch definition. If you intend to use the yarn to crochet, note that the yarn tends to split due to the strands smooth and silky character. Made in EU.